To increase competitiveness and meet customers’ demand of new products, traditional companies are forced to transform rapidly and embrace new technology driven business models. Helping auto makers in this transformation is digital manufacturing, which is helping them to turn ideas and concepts to reality faster, economically and more efficiently, says Rakesh Rao. Earlier this year, Ather Energy, founded by two engineering graduates - Tarun Mehta and Swapnil Jain - of IIT-Madras in 2013, had launched the Ather 340 and Ather 450 e-scooters. It is no mean achievement to develop an e-scooter from scratch in less than 5 years and launch it in a high-competitive Indian market. Couple of decades back this would have been highly unthinkable. But, automation and digitalization have phenomenally fastened the speed to develop, test, and mass produce new products. Welcome to the world of digital manufacturing. At the start of 2018, India became the fourth largest global automotive market, overtaking Germany. With market booming and customers demanding new products to meet their aspirations, time to bring innovations to market is getting squeezed. As a result traditional companies are forced to transform rapidly and embrace new technology driven business models. And helping auto makers in this transformation is digital manufacturing (DM). According to Siemens PLM Software, digital manufacturing is the use of an integrated, computer-based system comprised of simulation, 3D visualization, analytics and collaboration tools to create product and manufacturing process definitions simultaneously. Digital manufacturing evolved from manufacturing initiatives such as design for manufacturability (DFM), computer-integrated manufacturing (CIM), flexible manufacturing and lean manufacturing that highlight the need for collaborative product and process design. Digital manufacturing eliminates paper processes that can be fraught with errors and repeated information. “As core advantage, we see the digitalisation of the manufacturing process. This leads to the elimination of the paper based practice across the stages like planning, execution and aftermarket analytics/reports, brings in traceability, and the manufacturing related information will always be associated with the product/variants. This will contribute to increase in quality, reusability/speed, knowledge is stored as templates and can be reused,” says Berthold Puchta, Industry Leader – Transportation, QuEST Global. Improvement in productivity: Digitization brings clarity over all process areas and helps in eliminating the NVA (non-value added activities) and better asset utilisation. Faster time to market: Majority of validation can be done digitally as digital model is core of the system. Achieve higher cost savings and production quality taking advantage of data generated by cloud-connected sensors. Analysing to reduce rework, scrap, and reduce the consumption of raw materials. Commended as one of the ‘sunrise’ sectors under Make in India, contributing almost 50 per cent to the country’s manufacturing GDP, producing around 24 million vehicles annually and employing over 30 million people, automotive manufacturing industry is an immensely wide playfield for the automation players. So, is rise in demand for digital manufacturing increasing market of automation solution in automotive industry? 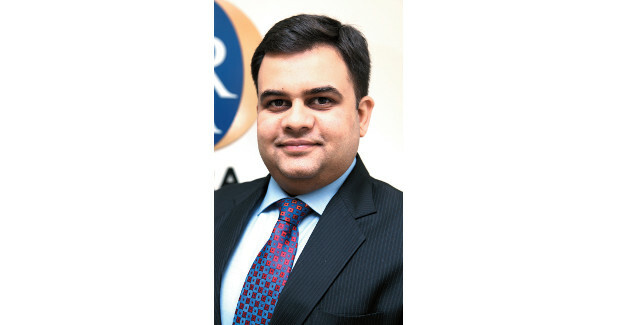 Yes, to a large extent, replies Sameer Gandhi, Managing Director (India), Omron Automation – which provides a wide array of end-to-end automation solutions to automotive companies helping them to scale up the value chain so that their products match the global standards in terms of productivity, efficiency, speed and safety. The company has been empowering companies to ensure zero-defects manufacturing and manage recalls by rendering intelligence to the quality checks via IoT enabled vision and robotics solutions. The automotive segment is also showing up good adoption rates for IIoT and drives solutions such as total traceability. “It provides manufacturers the ability to trace & verify the history, location, or application of an item by means of documented recorded identification. Considering the fact that one defective product can bring humongous loss and setbacks to the credibility of a brand, the solution holds a lot of importance to ensure zero-defects manufacturing system. This attains more significance for the automotive industry where assembling of multiple complex components needs constant checking at every step and product-recalls are witnessed quite often,” opines Sameer Gandhi. Applicable to tier 2 & 3 suppliers? There is no doubt that Indian auto manufacturers are taking advantage of digital manufacturing. “Leading automotive OEMs are seeing the benefits from their DM initiatives. At tier 1 level, the adoption of the DM is happening but at the slower rate. The entire process of digital manufacturing can be made more efficient once we are able to connect feedback from after sales and warranty to R&D and product development. Engineering services plays a critical role in enhancing digital manufacturing in this fashion,” opines Berthold Puchta. Technologies such as artificial intelligence, robots and IoT are transforming industries around the globe as well as in India. “The automotive sector is adapting to Industry 4.0 by leveraging technologies that help them adjust manufacturing specifications for reducing time to market, enhancing flexibility, improving efficiency & and quality. Irrespective of geographic proximity to key automotive manufacturing hubs, end users and OEMs - both global and local, have started reaping the benefits of Industry 4.0 to manage various production processes in shops and assembly lines,” he says. To improve operational efficiency, speed up time-to-market, new product development and increase product quality and reliability, manufacturers are increasing relying on big data and analytics. Manufacturers are using analytics to enhance order accuracy, shipment & cycle time performance, and product quality. At the same time, companies are using a cloud-based IT ecosystem to enable them to quickly and efficiently scale computing and database requirements up or down as customer or market demands require. For auto makers, whose supply chains are large and complex, analytics and cloud technology can revolutionise value chains starting with suppliers and progressing through all operations. “Cloud computing and analytics are empowering the makers to utilise the data to create immense value at the shop floors. A lot of data is gathered from the shop floor using IIoT via smart sensors, vision, RFID, etc. The new advanced generation of PLCs can move this data very rapidly into the MES/ERP/cloud layer and thus give the shop floor managers a pool of valuable information to be worked upon which helps them to initiate real time measures such as predictive maintenance by identifying potential issues as well as implementing productivity solutions,” explains Sameer Gandhi. Auto makers in India are still figuring out the right strategy to incorporate cloud technology in their manufacturing processes. “Currently, there are no automotive OEMs that are on cloud in DM space. Few of the major OEMs are trying to obtain the confidence by performing small PoCs (Proof of Concepts),” points out Berthold Puchta. The density for cars in India is currently just 15 for 1,000 people and is expected to grow to 50 per 1000 people by 2022. This is very low compared with countries like Germany (580 cars per 1000 people) or China (140 cars per 1000 people) and therefore offers a huge potential for growth. This is giving a fillip to international and Indian manufacturers who are focusing their efforts to develop innovative products, technologies and the required supply chains. Convergence of digital technologies, analytics and collaboration has enabled the procurement and logistics functions to be significant game changers in converting data into actionable insights in automotive industry. The way forward is to integrate emerging technologies to create factories of the future which will be intelligent and efficient. “Digital manufacturing, traceability, quality inspection, robotics, data gathering and analytics are some of the key notable trends which will gain more traction in the automotive manufacturing sphere soon,” says Gandhi. Connectivity: This enables the flow of relevant information to the right decision makers in real time. Examples include digital performance management and the use of augmented reality to communicate interactive work instructions and standard operating procedures. Intelligence: Use cases relate to applying advanced analytics and artificial intelligence to an array of data to generate new insights and enable better decision making. Examples include predictive maintenance, digital quality management, and AI-driven demand forecasting. Flexible automation: In this area, new robotic technologies are leveraged to improve the productivity, quality, and safety of operational processes. Examples include autonomous guided vehicles and using cobots for assembly processes. The survey largely showed continued levels of enthusiasm and prioritisation related to capturing benefits from digital manufacturing, with notable acceleration in China and India and regression in Japan. In fact, 94 per cent of survey respondents from India gave digital manufacturing as a top priority. In many cases, as per the survey, companies are piloting multiple digital solutions simultaneously. While the global average is eight solutions, Indian manufacturers report piloting more than ten digital manufacturing technologies at any given time. In Japan, companies are, on average, piloting only about four. Despite high enthusiasm about digital manufacturing, many companies are experiencing ‘pilot purgatory’ in which they have significant activity underway, but are not yet seeing meaningful bottom-line benefits from this. Even when companies report significant numbers of pilots, most cite significantly less progress in terms of broader rollout. In fact, the gap between piloting and rollout is significantly larger than the gap between perceived relevance and piloting, suggesting that scaling is a bigger hurdle than getting the ball rolling.